You needn’t go far in Montreal to discover things Scottish. Across the road from a bookstore on Sherbrooke Street, stand the gates to McGill University. One may walk up a flight of stairs on many a city street and knock on the door of a grey stone house reminiscent of Scottish architecture. Strolling the streets of the silvery grey city of Aberdeen bitten by wind blowing across the North Sea, I was reminded of Montreal. Among the Brodgar stones and elsewhere in Scotland, however, my thoughts often shifted from the ethnographic and historical to the mythical and personal. It’s impossible not to be impressed with the stones as the sky’s light deepens into a sunless summer night, just as I later fell in love with the Faerie Glen on the Isle of Skye. After all, I had read Andrew Lang’s collections of fairy tales as a child and later as an adult. In university I also read David Hume’s philosophy, which provided a pathway out of dingles and a ladder out of wells of wishful thinking. Through fantasy or fact, the geography of dramatic basalt rock formations, covered in green, obviously came into being through the forces of eons for the sole purpose of providing dancing venues under moonlight and feeding our insatiable need for stories. I mean, wouldn’t it be nice in an age of recurring atrocities and terrorist attacks, which Scotland has experienced, to dance with fairies on the green as the daring or delusional did in the faerie glen, if one believes the stories. Except, partygoers may well have danced themselves to death, or at least have been ripped out of human time. So, there’s that. Putting reasonable Hume aside and letting my fancy roam free, I could understand why, given the Orkney monoliths, the Skye geography, heather strewn highlands once more forested than they are now, countless streams and lochs and firths, forbidding coastlines, ruined castles and quiet dells, lone pipers on crags and street corners, bloody conflicts between clans, between England and Scotland, the highland clearances and ensuing despair, even the confrontation between Romans and Picts, one could well lose track of everyday life, and cut oneself from the connective logic of the quotidian. Clambering up Hadrian’s Wall, not far from the Roman fort Vindolanda, I remembered other, older stones of significance like the Hill O’Stanes, a deliberately arranged circle of ancient rocks now overgrown with yellow, thorny gorse, which I discovered off a deserted dirt road in the Highlands on my way elsewhere. Ali Smith’s writing is filled with detours off the main path and startling changes of points of view. She dances over conventional narrative methods, teasing readers out of time, and still keeps sense as sturdy as rocks with designs on us, so we don’t lose our way. Her simple, often witty prose is layered with complex emotions and worldly sophistication. Echoing fairy reveries and human confusions as old as Neolithic stones in Scotland, tensions between contemporary truths and ancient desires remain at the heart of her fiction. On my last day in Edinburgh, a fascinating city that deserves more attention than given here, I trudged up Calton Hill before leaving by train to Glasgow (happily not cancelled). From the summit I could see the cemetery behind whose walls stands David Hume’s mausoleum tower. Unfortunately, the necessity for renovation had closed the graveyard to the public… dangerous grounds. I contented myself with a view from the heights. In my satchel I carried a substantial sandwich purchased in Marks & Spencer on Princes Street, a blue and orange can of diet Urn-Bru, a soft drink tasting like bubble gum, which I drank but didn’t like, and a package of triangular oat cakes for a picnic lunch. I recalled Dr. Johnson’s sneer in his dictionary definition of oats: 'a grain, which in England is generally given to horses, but in Scotland supports the people.' I also recalled that one of literature’s magnificent achievements is Life of Samuel Johnson by James Boswell, a Scotsman born in Edinburgh. Kenneth Radu has published fiction, non-fiction and poetry. A two-time recipient of the Quebec Writers' Federation award for English-language fiction, his forthcoming book is a collection of stories soon to be published by DC Books Canada. He lives in the country not far from Montreal, and when he's not digging the soil he's working on his latest project, a series of linked short stories. Maybe I will go easier on my sons the next time they can’t find something — but only if it’s something green. 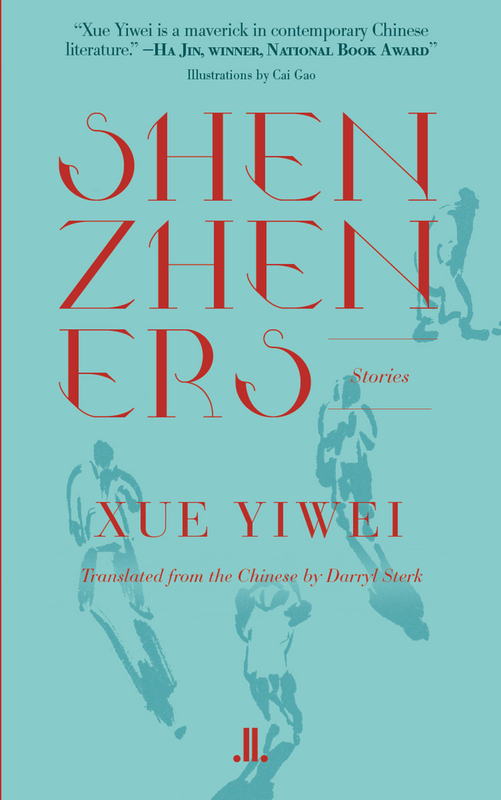 The Shenzhen Economic Daily was preparing a 3-page feature on the publication of Shenzheners, the first of the Chinese-Canadian writer Xue Yiwei's books to appear in English, and I was asked to write about why LLP chose to publish the collection. What follows is the text I wrote, which Yiwei then translated into Chinese. Contributing editor Leigh Kinch-Pedrosa reviews Mélanie Grondin's The Art and Passion of Guido Nincheri.